It hasn’t been a vintage season by any stretch of the imagination for Port Vale this season. The club are currently perched at a safe distance away from the drop zone of League Two, but it remains unlikely that the it can achieve much else except for survival this campaign. 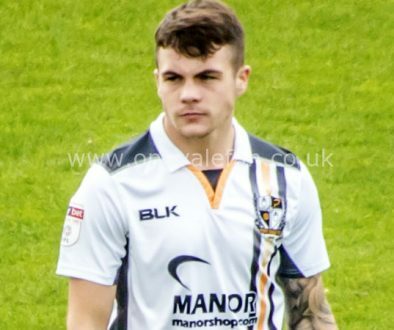 In the beginning of this month we learned that Manchester United player Callum Whelan, who was loaned to Port Vale, left the team to join Bolton’s Academy. Even though that particular player didn’t achieve anything of note at Vale, on reflection several of the more recent loan signings have worked out well for the club. Manager John Askey has targeted loan signings as a potential future priority allowing the club to bring in quality young players, to help the team achieve their goals and upsetting the betting odds that currently suggest that the club will be in the lower reaches of League Two. 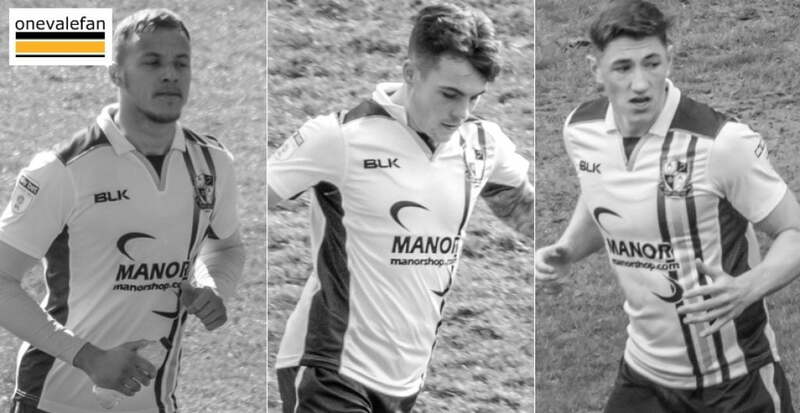 However, how are the 2018/19 loanee’s performing for the club? One of the more consistent players in a rocky campaign has been Mitch Clark. He was signed by the club on the 16th August 2018 to provide cover for Cristian Montano and James Gibbons in the full-back positions. However, he was quickly thrust into the first team two days after signing for the club; in a fixture against Crawley Town at Vale Park. Since then, he has been having a prominent role in the team and has impressed in most games that he has featured in. He was the shining light for the club throughout a string of bad results and never looked shaken despite the lack of senior football that he has appeared in. The 20-year-old’s worst moment of the season came against Grimsby Town when he made a rare mistake in a defeat; however, he quickly refocused, and his performance for the remainder of the game was solid. This is just a testament to the character of the Aston Villa loanee that he was able to do this at such a young age, and he has been rewarded by continuing to be one of the first names on the team sheet. Another prominent player in the first team squad has been Nottingham Forest loanee, Adam Crookes. He came through the prestigious Nottingham Forest youth set-up and was captain of the under 18’s team that won the Professional Development League Two title in 2015/16. Vale isn’t his first experience of first-team football, as he has been previously loaned out to Guiseley and Lincoln City in the last two seasons. However, he was unable to get minutes for the runaway leaders of League Two and was instead loaned to Port Vale. Former manager Neil Aspin stated that the defender has “a natural left foot in the defence and his something that we didn’t have in our squad” when it was announced that the 21-year-old would be joining the team. He made his debut a few days later in a 1-0 win over Crawley Town. Crookes must have feared for his place when Neil Aspin departed the club, but he was made a regular in the team by the in-coming John Askey. He has been vital in the change in the system, as he can confidently play either at the left side of a back three or as a left-back in a back four. He has also impressed assistant manager Dave Kevan who admitted that the club would be looking into the possibility of signing Crookes either on a full-time basis or on loan again in the summer transfer window. The strapping West Brom defender is well-known to Vale supporters after a similar loan spell last season. 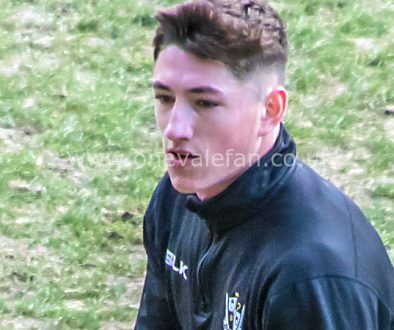 Howkins was short of match fitness when he joined the Valaints for a second time and has had to be patient as he awaited his chance in the first-team. His chance duly arrived when Leon Legge was sent-off at Northampton and Howkins played a key role in helping Vale to a shock away win. He maintained his place for the game against Crewe where he kept a clean sheet and is likely to remain on the starting XI for the remainder of the season. Out of contract in the summer, he is likely to be another player who Vale will be keeping an eye on in the summer. Despite playing a part in the Cardiff City promotion season to the Premier League, Harris was able to leave the club and find playing time. He originally joined Newport County on a six-month loan deal and scored three goals in 20 appearances from a wide position. However, his loan period ended with the Exiles, and despite the club hopeful of signing the Welshman again, he instead opted for a move to Vale. 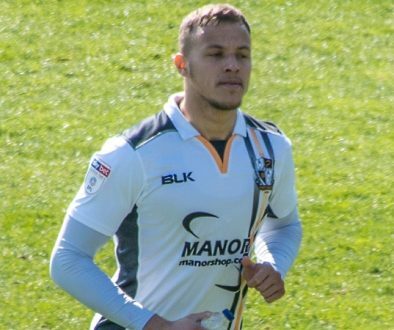 Harris has arguably been unlucky as Vale opted for the more experienced Ricky Miller when first-choice Tom Pope was injured, but he remains a useful threat from the bench, His ability to run past players and find key passes could still be a crucial asset from the bench in the closing games of the season.